Middle-infield reserve candidate and local Jersey guy Anthony Seratelli is wearing No. 2. Guess who for. And I was gonna root for the guy. At the risk of sounding like a crotchety old man, I’m already sick of the retirement Victory Lap. As suspected, Andrew Brown is now hanging around wearing No. 30 and looks like Jose Valverde has taken over 47. Brown notwithstanding, it’s a little bit weird how the Mets have tended recently to flip the traditional assignments between infielders and outfielders. That could just be an impression and could be explained in part by Murphy and Davis occupying digits in the high-20s (and I have to tell you, I don’t much like that). But some potential starting outfields this year could combine to as little as 10 (Young-den Dekker-Granderson) or more realistically, 16 with Lagares there instead. I’ll still wager Ike Davis won’t make it to opening day with the Mets, and it may not have anything to do with Stephen Drew. Rather I still believe it makes too much sense not to turn our redundancies at first base, the outfield (Eric Young?) and young pitching (to the extent you can have enough young pitching) into the things we still could use (a shortstop). 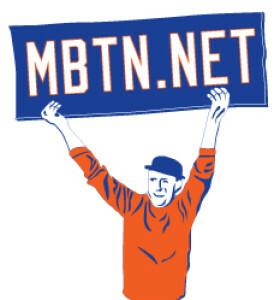 On this day in 1999, Mets by the Numbers was born. That’s 15 years ago! While the very earliest stuff has been absorbed into Internet heaven you can get a glimpse of our hard-hitting take on the breaking Rick Reed-Matt Lawton trade from 2001 here. Those posts and more are of course all backed up here using the archives tab.